The term “troll” is so new that it often gets misused, and it gets used so frequently that people sometimes dismiss it unfairly. It’s not just internet lingo to throw at someone because you don’t like or agree with them, and it’s not something to dismiss simply because someone used the term. It has real meaning and legitimate usage. The trick to dealing with trolls is learning to recognize them when you see them so you can learn to avoid playing their game. 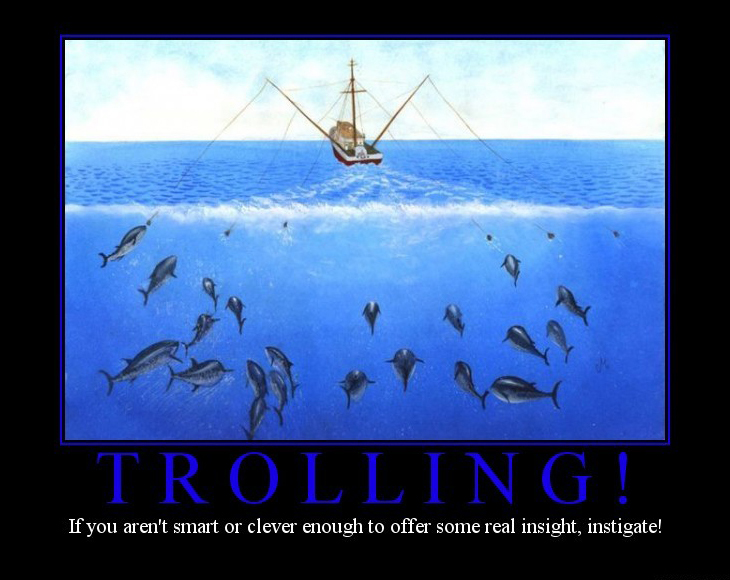 If someone says something you disagree with (even if it seriously offends you), then that’s not necessarily trolling. The whole purpose of social media is to encourage and further discussion, even about controversial subjects. Since there are as many opinions on a subject as there are people, you’re always going to run into someone who doesn’t agree with you. That’s just how these things work. 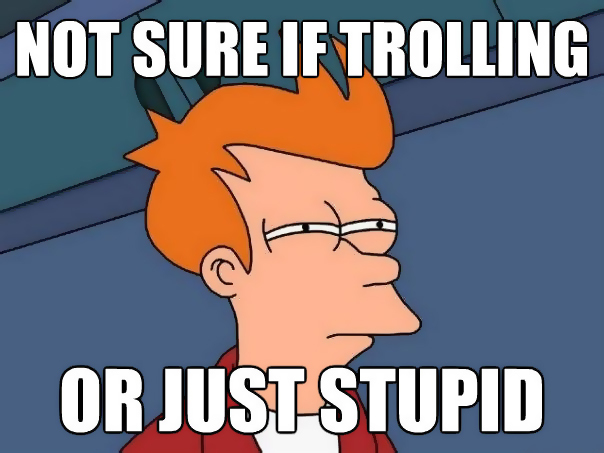 If someone says something ridiculous, then that’s not necessarily trolling, either. They may actually believe that ridiculous thing they said, and they may not care what you believe. Contrary to popular belief, just because you have an opinion or belief doesn’t mean it’s correct. Everyone is entitled to their opinions, but even opinions can be dead wrong. 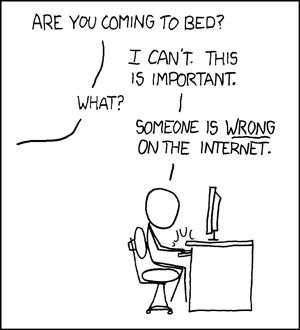 However, the troll doesn’t care if you try to prove them wrong. They want you to prove them right. There are different forms of trolling, but the end goal is always the same: goad people into reacting. The fallacious troll is someone who says or does something off-topic in an attempt to take control of or distract from the topic at hand. This usually comes in the form of an attack on the person, like saying “typical liberal” or “right-wing nutjob.” If you address their attack instead of continuing your point, then you have fed the troll. Just make a note of it (or ignore it) and resume what you were saying. Another form of trolling is using controversy to instigate a flame war. They will do or say something they know will bring out an emotional reaction without attempting to make a point. So, for example, making fun of feminism in a group of socially conscious people, or telling a group of Christians that there is no God. The troll knows that will upset someone who will inevitably (and rightfully) come to the defense of what’s being attacked. But the troll doesn’t really care what you think because they already know. That’s why they posted it. They just want someone to start paying attention to them. How they feel about the topic is irrelevant. As long as you respond, you’re feeding their ego. Believe it or not, trolls do serve an important function. They teach us how to resist the urge to react emotionally. Thoughtful and intelligent debate should be as free from emotion as possible. It’s okay to get drawn into a discussion if it’s something you care deeply about. There’s nothing wrong with being passionate and standing up for your beliefs. Just don’t get caught up in a flame war. Remember that passion is just an emotion, and even it can lead us down the wrong path. As the old saying goes, don’t feed the trolls. It only encourages them. Just like the mythical trolls that lurk under bridges they don’t own and demanding money that isn’t due to them, an internet troll is lurking in social media and demanding attention that isn’t due to them. If you leave them starving for attention they will die off or throw a tantrum. Either option is a win for you. And there is probably no better way to deal with a troll than turning their behavior back on themselves.